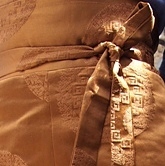 Traditionally used by nuns, this skirt is handmade at Gyergo Nunnery. 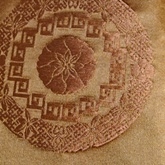 It is lined with plaid flannel and made of Tibetan polyester brocade. 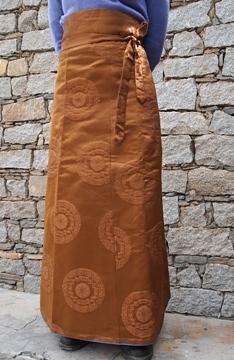 Its high empire waist and wrap-around style is flattering and unusual (outside of Tibet).